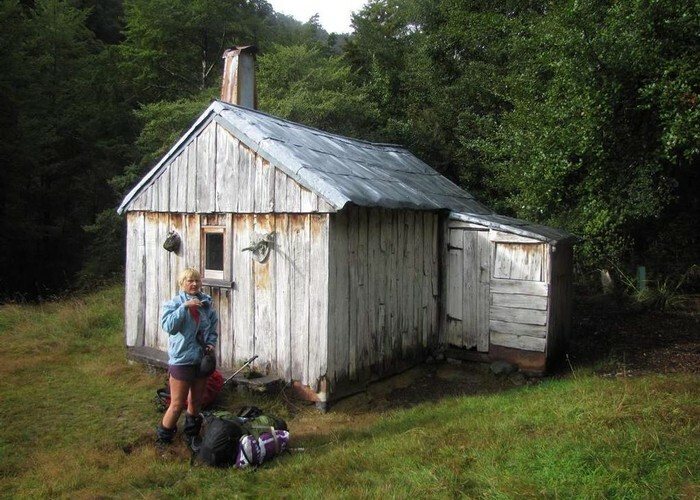 This historic hut is only a couple of hundred metres from the newer and larger Kings Creek Hut on the Wangapeka Track. Cecil King was one of the Depression gold miners, and he built this hut in 1935 near his claim. He continued to returrn to the hut until his death in 1982. The hut has been restored, with artifacts on display. It is open for overnight stay. Cecil King Historic Hut • By pmcke. Licence: C.
Water from the Wangapeka River or nearby Kings Creek Hut. Wangapeka Track, near the Rolling River road end. Added 2 April 2011 by pmckepmcke. 3 revisions, most recently 15 March 2014 by MatthewMatthew. 144 views in the past year (12 per month).